Dean's career spans thirty years of engineering, marketing and general management. He has extensive experience developing, selling and delivering, world-class semiconductor, software and service products. Dean has an engineering background that includes working with a number of well known technology companies, including Mentor Graphics, Intersolv (eventually became part of Serena Software), Now Software (acquired by Qualcomm), iReady (acquired by nVidia) and eXtensil. He also held senior marketing roles at Lateral Sands, the Symbio Group and Foresight Systems M&S. 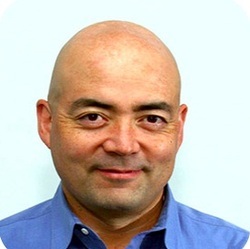 A long time entrepreneur, Dean founded Exectech, the Spinnaker Advisory Group, China TechSource, 4D Chips and BluMtnWerx. Dean graduated from the University of Idaho so long ago that his first real job was writing FORTRAN code for a CDC mainframe. He is a member of the IEEE, and continues to write as much code as possible.